I am so honoured to be interviewed by The Knot as part of their Ask The Expert series! It is such a thrill to see my wedding planning tips in print. Thank you to Rachel, Carly and The Knot team! After 7 years of working on a trading floor at an investment bank, I decided to quit my job and start my own business in wedding planning. After this 2017 season, I will have 7 years under my belt in planning events! I was so honoured to be interviewed by A Cup of Jo about my 180 career change, along with 9 other ladies who made the change in many different fields. Click on the image below to read more. Thank you to Joanna Goddard and Meg Cahn for including me! 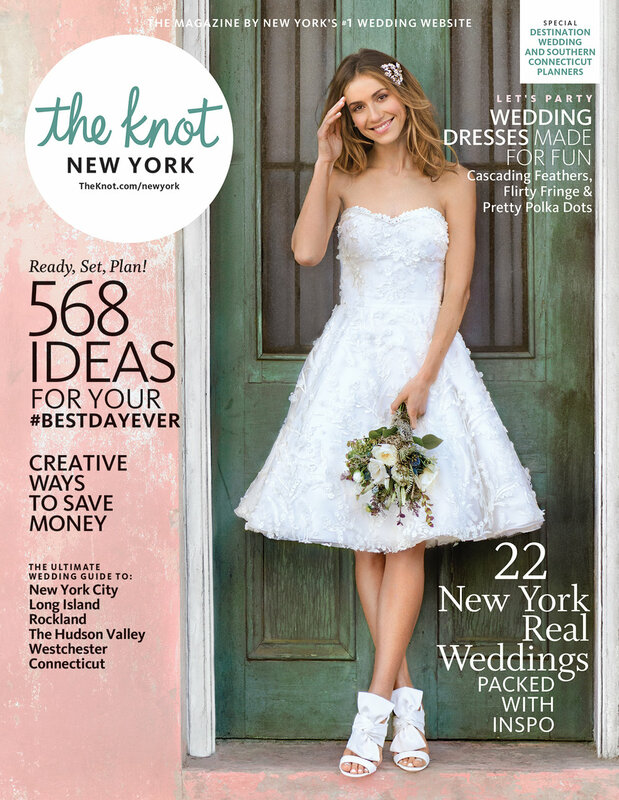 BRIDES named Ang Weddings and Events one of New York City's best classic wedding planners! What an honour to be picked along with such esteemed colleagues. Thank you! How do you make an event hall extra special and personal to your wedding? Read our tips on Brides! Making sure my bride is picture perfect just before walking down the aisle. So many layers of tulle on her dreamy Reem Acra gown. This was serious business!